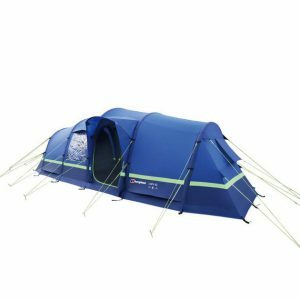 Since their launch, Berghaus air tents have become a common sight on British campsites with their two tone blue distinctive look. 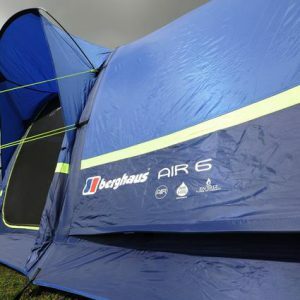 In this article we take a look at 10 reasons to buy a Berghaus Air 6 tent which is the 6 person version. It will of course give extra living room four families of 4 or 5 people. 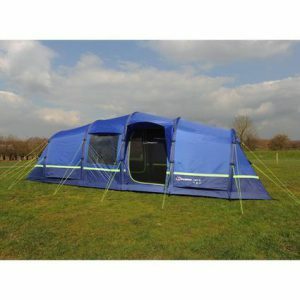 The Berghaus Air tent 6 is easy to erect and take down. 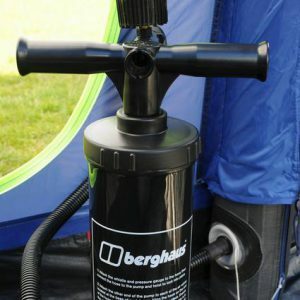 Simply remove the tent from the bag, stake out the ground sheet and blow up the air beams with the pump supplied. 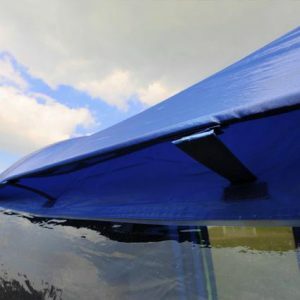 It is a lot simpler than putting together lots of cumbersome poles that are found in traditional tents. 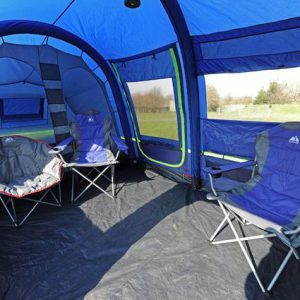 It is easy to pay over £1,000 for a 6 berth inflatable tent. 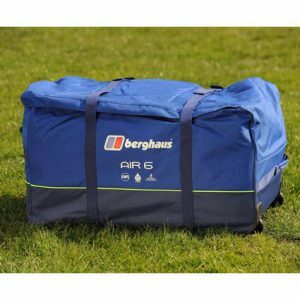 The Berghaus Air 6 can commonly be bought for around £500 even though the quality of the tent is quite high. Check below to see the latest vouche8r codes and special offers from leading stores that stock Berghaus air tents such as Blacks and Millets. 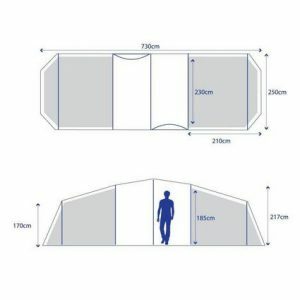 This is a tall tunnel tent and means that there is plenty of space to stand up in the living area and some extent the bedrooms. This really matters when you are camping for more than a few days. 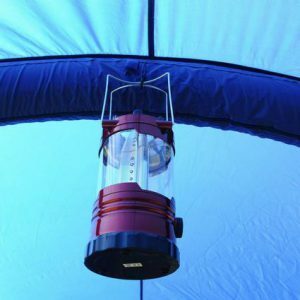 The Air 6 tent has a host of finishing touches such as cable routes, a rain hood above the side door and storage pockets in each bedroom and living area. The bedrooms in the Berghaus Air 6 tent are darkened to help prevent you being woken by early morning sunshine. Curtains are supplied and controlled with toggles. Large inflatable tents are quite heavy. In the Berghaus Air 6 case it weighs 26.5 kg. The supplied carrying bag has wheels to allow you to get it to the car easily. Remember that you won’t have any bulky and heavy holes to transport. 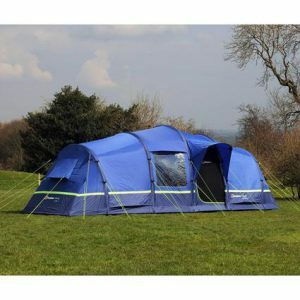 You can extend the tent by adding the Berghaus Air Porch which retails around £200 this offers a bit of extra space for toys, boots, coats and kitchen paraphernalia as well as a dry entry space when it is raining.